ESSA joined Monkey Forest Consulting to develop a supplemental Environmental and Social Impact Assessment, aligned with international standards and addressing key knowledge gaps, for a development project consisting of the construction and operation of 5 small run-of-river facilities in a rural watershed in Northeast Nicaragua. There is often a gap in terms of regulatory requirements for environmental and social impact assessments at the national level in developing countries and the level of information required for compliance with international standards, specifically the International Finance Corporation (IFC)’s Environmental and Social Performance Standards for sustainable development. Compliance with IFC’s standards provides developers with better tools and information to assess and manage their environmental and social risks but requires a higher degree of information and robust impact assessments. Available data and baseline information in developing countries are scarce, posing the challenge of accurately predicting impacts on ecosystems and communities for which limited information is available. The joint Monkey Forest-ESSA team of social and environmental specialists provided technical advice, conducted additional studies and engaged with local stakeholders to upgrade the environmental and social impact assessment and fill in the gaps to make this study aligned the IFC sustainability framework. 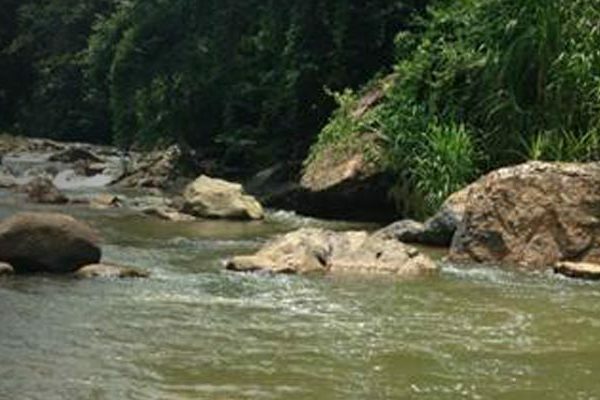 ESSA led the environmental impact assessment part of this study, including the preliminary assessment of environmental flow needs and the development of an Adaptive Management Monitoring and Management Framework for environmental flows which provides guidelines for assessing and managing impacts on aquatic ecosystems during the operations phase. Targeted environmental information was collected, including local knowledge. An impact hypotheses approach was adopted for the assessment of environmental impacts. Emphasis was placed on documenting existing uncertainties and knowledge gaps. A targeted, information-rich Environmental and Social Impact Assessment that clearly identifies uncertainties and knowledge gaps and sets the basis for effective management of environmental and social risks. The intended use of this study is as a tool for the developer that can be built on and improved as more information is available and a better understanding emerges on the project’s interactions with ecosystems and communities. No resources available at this time.